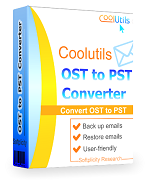 CoolUtils OST to PST Converter will easily convert your OST file or files to PST. Unlike other tools, it works even if you do not have an Exchange Server connection. Recover Exchange mailbox folders by converting OST to PST and opening the converted PST file in Outlook. Coolutils OST to PST Converter safely recovers all your important items like emails, attachments, calendar, tasks, contacts, etc., even if you no longer have access to the computer that was used to create the OST. 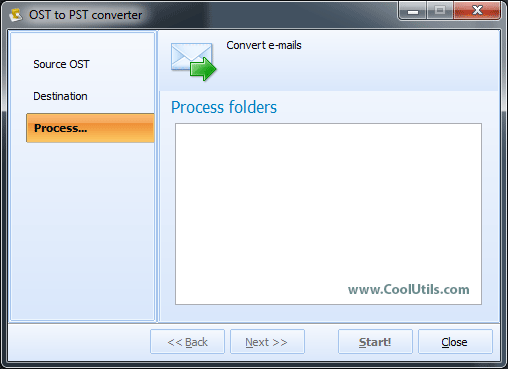 Coolutils OST to PST Converter is 100% clean. 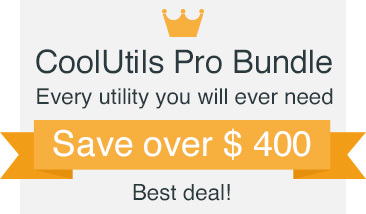 You pay the money and get the working tool without ads, built-in toolbars, or annoying paid upgrades. 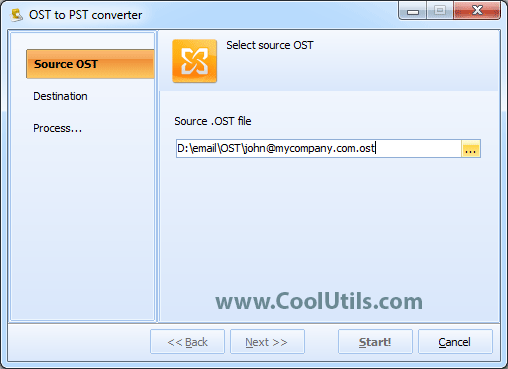 Coolutils OST to PST Converter is extremely easy-to-use. First, it asks for your OST file and then for the output directory for the resulting PST. So you import OST and find PST in the directory you assigned. This converter can process large OST files in minutes. If you want to access offline storage table database via Outlook email client, try Coolutils OST to PST Converter. Extract your ost file data to a usable PST file now! Download the free evaluation copy. "I had a client with an IMAP email account that she used in Microsoft Outlook. The computer became unbootable, but I was still able to recover the OST file from it. On a different computer, we re-synched the IMAP account, but needed to recover the calendar and contact items from the OST file. Since Microsoft doesn't include an OST import tool (similar to PST), I was happy to come across the CoolUtils OST to PST converter. It worked well, but it would have been even better if it also recovered the full calendar items, rather than just the calendar headings. In the end my client was happy, so I can't complain. The price was very reasonable as well." "Your tool was the only one to safely recover unusable files of OST. Now I have the regular PST, and I am happy with it. Thank you."